Dr. Dow is a dedicated and devoted professional who has been serving her community since she graduated from The University of Pennsylvania School of Dental Medicine in 1993. Dr. Dow, along with her expert and friendly staff, are unconditionally dedicated to improving the quality of your life with the help of the latest and safest innovations in dental techniques, technology and materials. 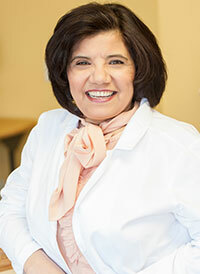 Dr. Dow’s passion for dentistry keeps her involved in numerous associations and study clubs. When she is not in the office, Dr. Dow loves gardening, traveling and spending time with her husband and 3 successful children.